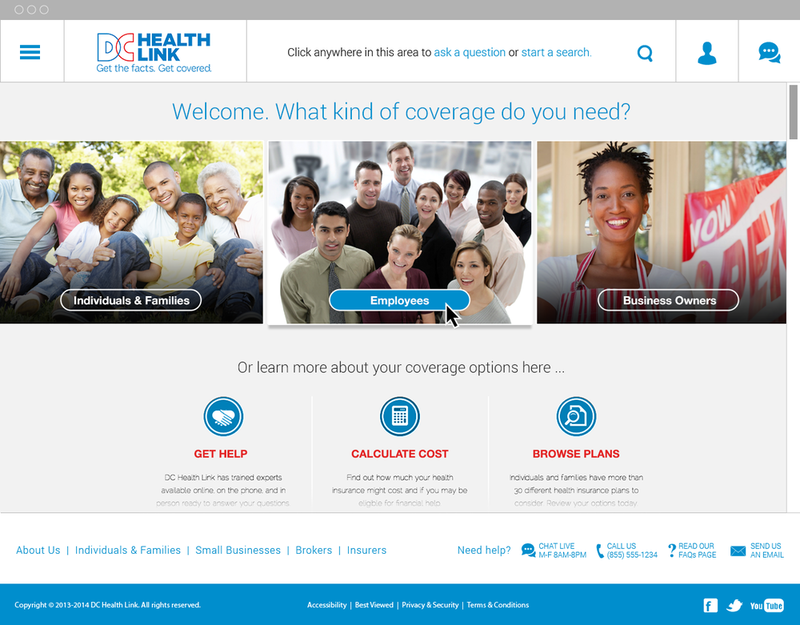 With the Affordable Care Act, many states chose to develop online exchanges to help their residents and families get the health care coverage they need. We led the design effort in a product innovation lab of experts to research opportunities for improvement and challenge our assumptions. We analyzed and synthesized available data, researched multiple requirements, and developed an "autobahn" or "EZ" version for the majority of users who were either employed or didn't require financial subsidies. In the original software application experience, a user was presented with 33 screens requesting various forms of information before they would see the insurance products available, and those products were not filtered or sorted in any display. By first asking users if they were employed and who their employer was, we were able to bypass a lengthy pathway to eligibility and present them with only the insurance products available to their employers and within 8-12 screens. 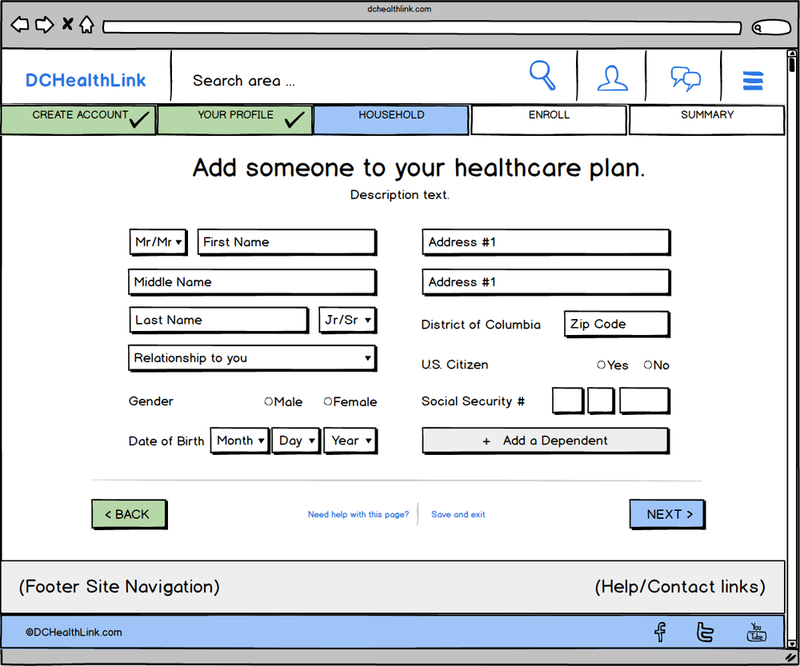 Until a user creates an account, all users are ‘anonymous.’ Due to HIPAA laws and requirements, personal information cannot be stored or staged. Users must confirm consent and their information must be protected with levels of security encryption. The goal of a user is not to create an account. That’s a business need. The goal of a user is to find the best insurance products that meets their needs and eligibility. Anonymous Browsers - users without accounts reviewing all available insurance products for research and information gathering. Anonymous Shoppers - users without accounts reviewing insurance products available to them, filtered by their criteria, sorted by their preferences, with the intent to purchase themselves or through a broker.